The 2010 Haitian earthquake displaced thousands of people, with many still living in temporary camps. Poor sanitation has caused serious health problems in the country – but could a special eco toilet improve the situation? Lorena Arroyo reports from the Haitian capital Port Au Prince. 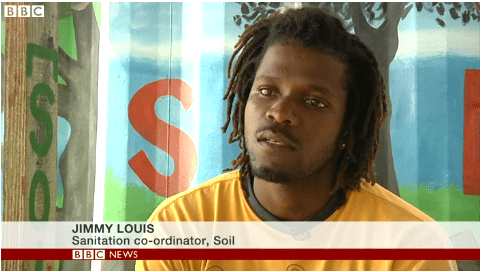 1 Reply to "BBC: Haiti's Fight Against Disease With The Eco Toilet"
As a long time supporter of SOIL, it is my fervent hope that the whole world realizes the potential of composting toilet waste. When we talk about renewable resources, we often do not think of waste, from all animals. As well as compost, I would hope in the future we could all see the benefits of waste digestors to make energy from all the world’s poop!